Mallard standing just below Killamarsh Central Station. Photo courtesy of Mrs M Buckle. 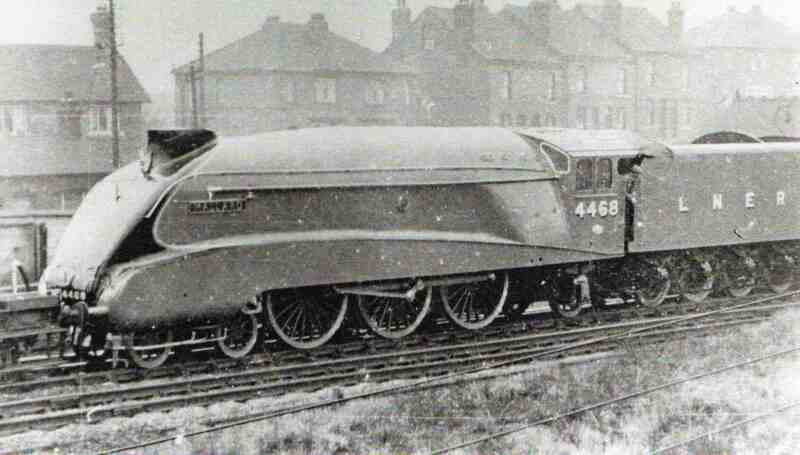 The Locomotive is seen being towed ‘dead’ andcrouted down the GC London Extension to go on display at what was then the National Railway Museum at Clapham, Greater London.